My post this week is about my obsessive nature to plan everything! Hey Bama Bloggers! My best post of the week is about the shock of finding a quirky set of dishes cost WAY more than you would think. Everyone have a great weekend! My post this week actually has ONE CENTRAL theme! - Thrifty Thursday! Wanted to share the Tyndale Blog Network. Free books to bloggers if they post a review. A couple of transcripts of conversations I had this week with God about Lent. They didn't go well. 8. Wade on Birmingham - Video of Paul McDonald of Huntsville performing in the Top 13 on "American Idol." 9. Magic City Post - Exclusive first look at the lineup for the Schaeffer Eye Center Crawfish Boil in downtown Birmingham. 10. Birmingham Blogging Academy - Behind the scenes of launching the new Alabama Social Media Association: what went right. Posted a photo of Sturdivant Hall showing how the trees and grass are greening just in time for Selma's Pilgrimage this weekend. 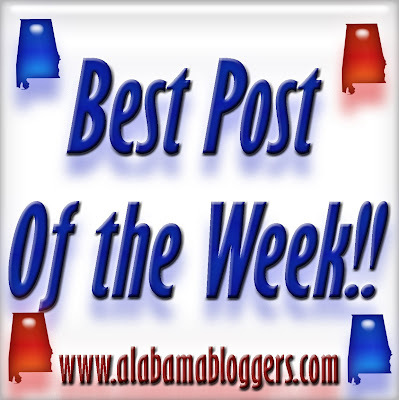 My post this week is the second in a series we are doing called "Huntsville's Hot Mess." It's all about our educational system ($20M in debt and still failing).